Take the guesswork out of shopping for rings. Make sure you’re buying the right size rings for your significant other with our free ring sizer. 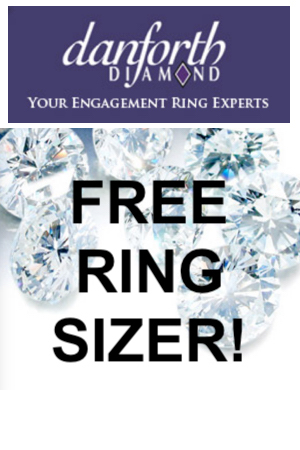 Simply click the “Snag This” link and fill out the short form for the FREE ring sizer from Danforth Diamond. It should arrive at your address within 3-5 business days. Also, once you’ve found your ring size. Buy one on Amazon.